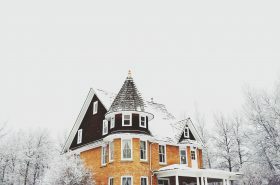 Holiday season is in full swing! 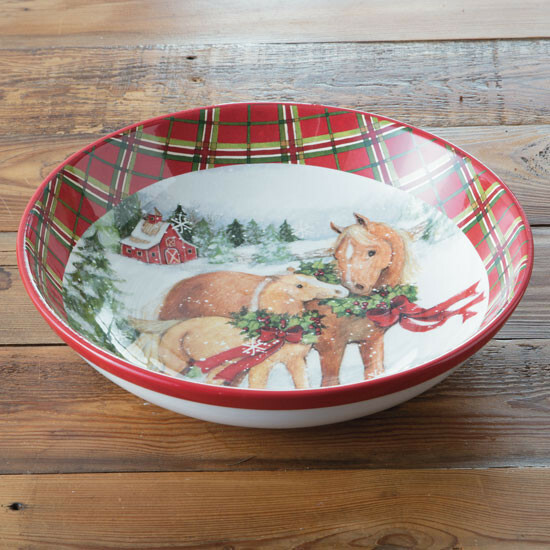 It’s time to decorate your house with lots of red and green. 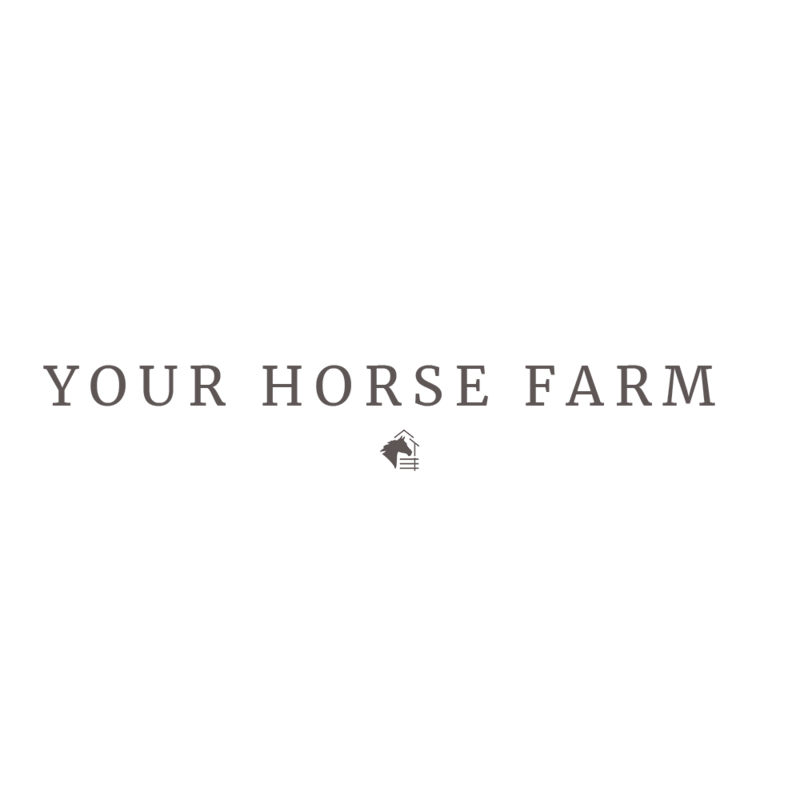 Scroll on through to shop for some awesome equestrian décor and fill your abode with holiday cheer. 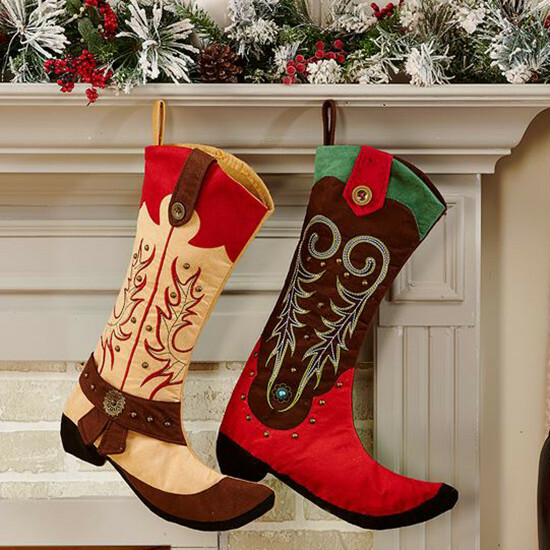 These unique holiday stockings have beautiful intricate details that will remind you of your favorite pair of boots! 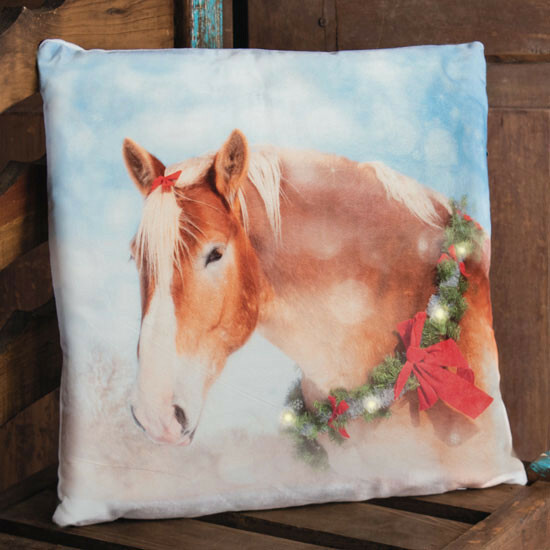 Switch out your normal throw pillows for Christmas pillows. This festive pillow shines bright with an extra touch of light from tiny LED lights. Decorate your kitchen with this fun graphic design shaped like a Christmas tree. 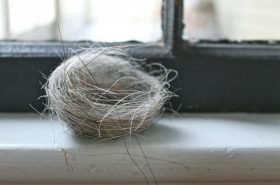 These also make great housewarming gifts! 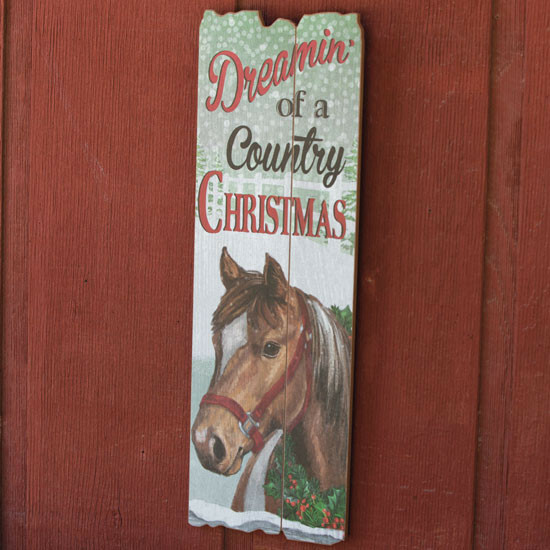 Add a touch of farmhouse charm to any room with this holiday sign. 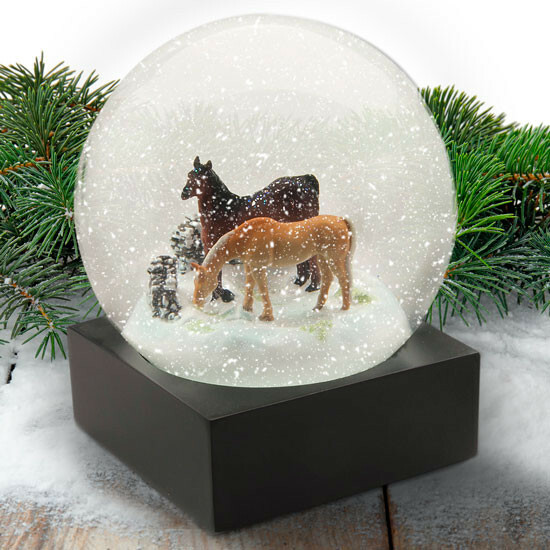 Add a touch of whimsy and magic to any room with this winter snow globe. It’s sleek and modern. 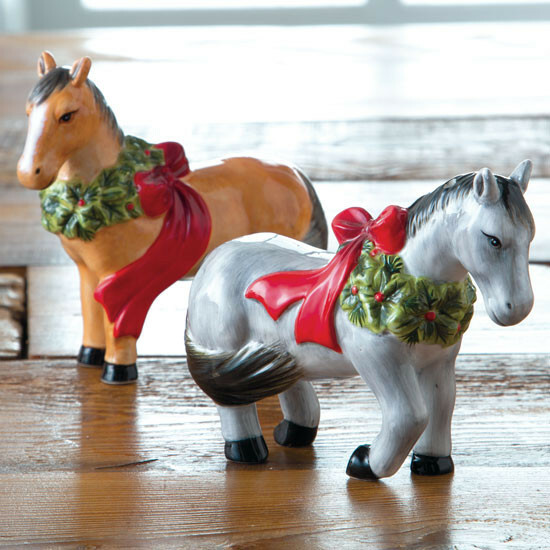 Set the table with these two cute horse shakers. 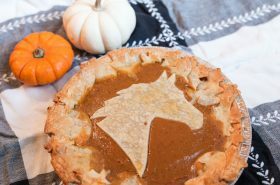 Plaid meets Palominos with this festive holiday scene. You can find even more matching dishes from this collection online as well. 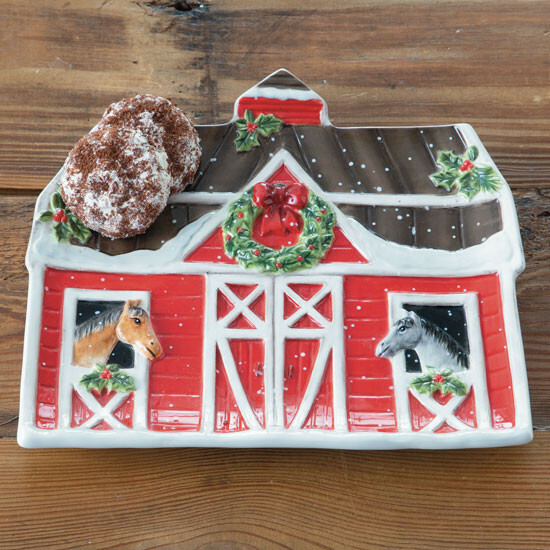 This might be one of the few platters that looks good empty but it’s also perfect for sugar cookies. 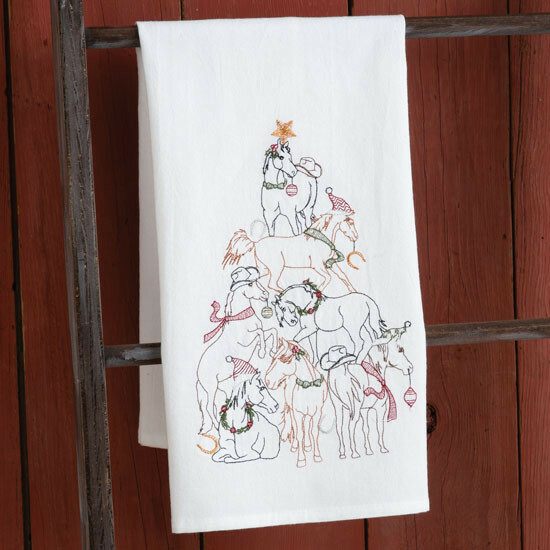 Now get out there, put up that tree and start decorating the house with these awesome items. 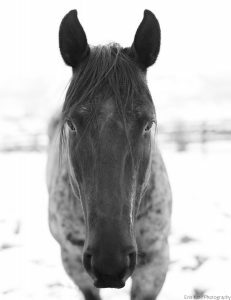 Raquel Lynn lives in Los Angeles, California with her husband Adam, Paint mare Fira, and Pomeranian Mango. 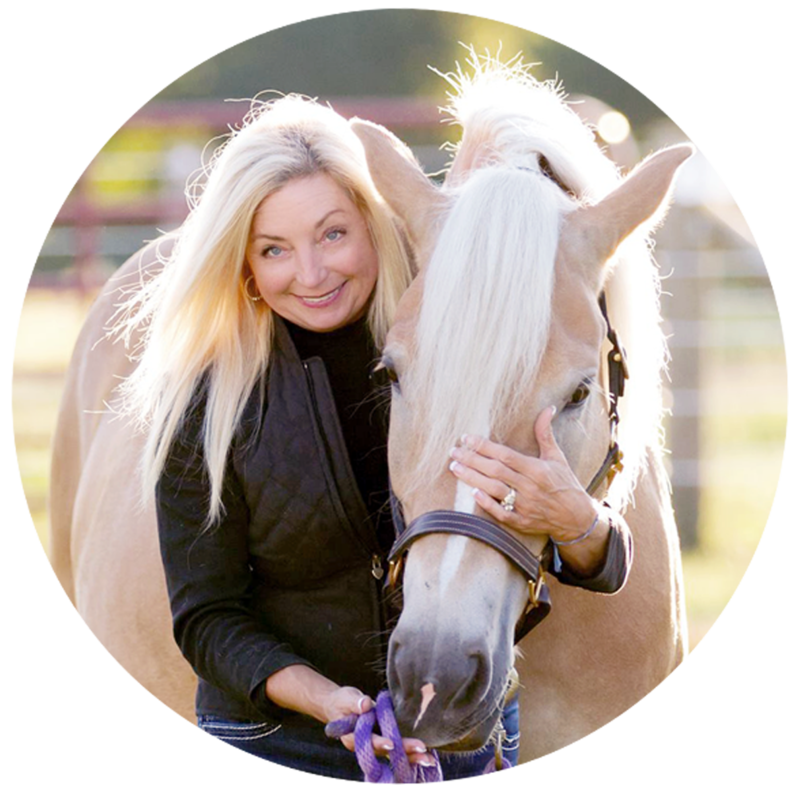 She loves cowboy boots (obviously), sequins, all things sparkly, cowhide, creating, cooking, Pomeranians, Paint horses, a good sale, flowers, wine, goat cheese, photography, flats, Bravo TV, barrel racing, turquoise, palm trees and sunshine.